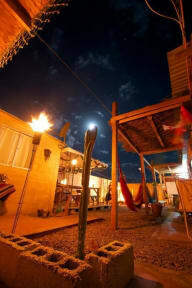 Backpackers San Pedro i San Pedro de Atacama, Chile : Boka nu! 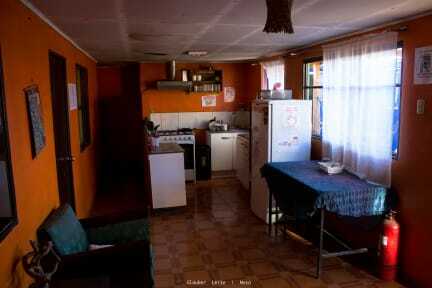 Nice and clean hostel with a friendly and sociable atmosphere. It was in a quite good location, only like a 5 minute walk away from the main area of San Pedro. They had lookers for smaker bags by the reception. The staff was really nice and helpfull, we got to use their computer to book some tickets. They also had a really nice outdoors area where you could hang out. Kitchen is small and crowded. Utilities are old but if you're there for a night or 2 it's fine. Bit of walk to the centre.